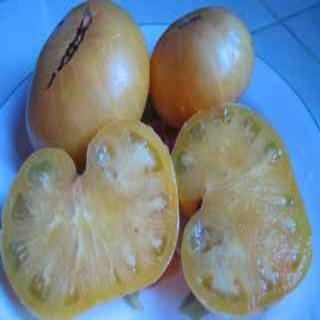 Golden Cherokee tomato seeds produce light lemon beefsteaks with a light pink blush. They have an outstanding creamy texture and and fill your taste-buds with ample acid and sweetness. Heirloom Seed Packet. Golden Cherokee tomato seeds produced one of my top five of the 2009 tomatoes. I was really impressed with the flavor of these light lemon beefsteaks with a light pink blush . They have an outstanding creamy texture and and fill your tastebuds with ample acid and sweetness. Production here was very high, even with the intense rains we had here that year. Seed originates from Reinhard Kraft, Neukirchen Germany and is a sport from a Cherokee Green plant.